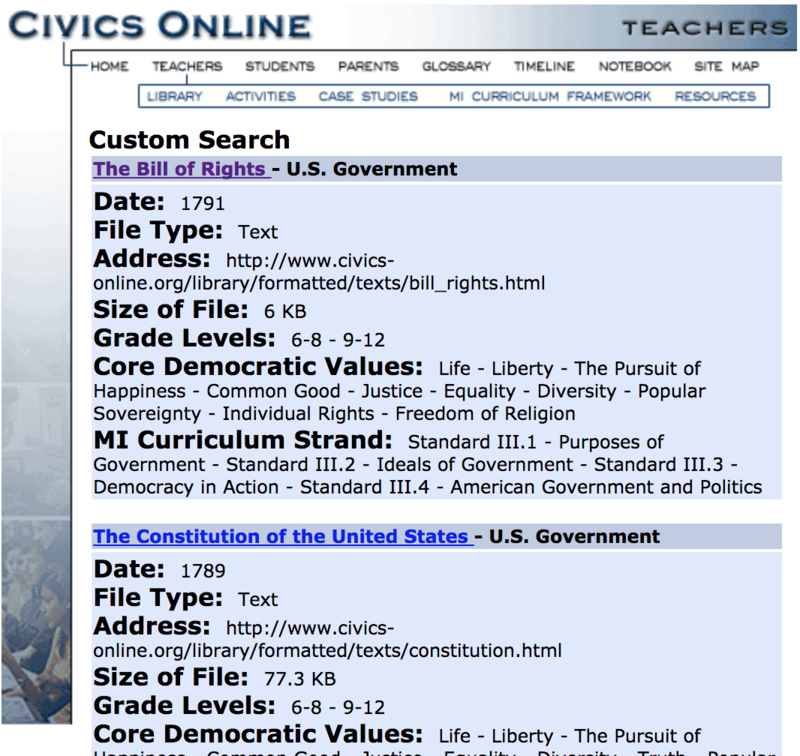 Civics Online allows you to search for and retrieve primary sources. Civics Online is a collaborative, Internet project working to provide teachers, students, and parents with a rich array of multimedia primary source materials, learning tools, and professional development resources to enhance current approaches to teaching civics in the classroom. The site contains information for teachers about pedagogical concerns and approaches for teaching civics, along with activities, information, and resources for students who are learning civics or civic concepts. Most of these materials are interactive and designed to be implemented at any stage of K-12 education. Civics Online also links to other helpful Internet resources for the study and teaching of civics.